The End Of Days, generally. 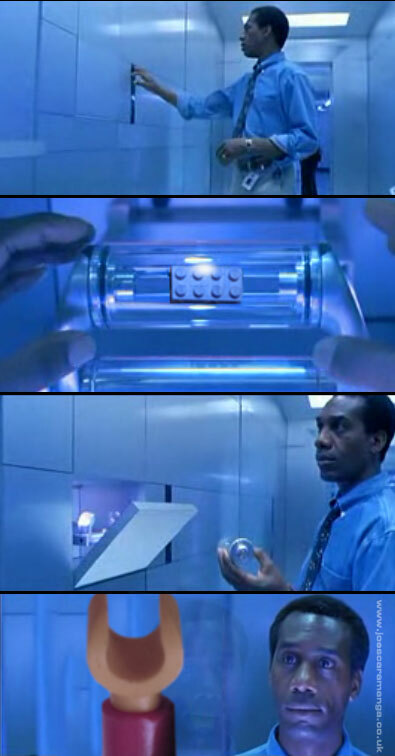 How did you get the lego into the cylinder? paste lego under that layer and change the transparancy? but these are the nuts! Just watched that last night too. Awesome in its sheer awesomeness. superb! My fave one of the compo so far. Have some fried clicken. Hahaha, the arm does it for me. As the other have said :D Great ! got a really good laugh here!